Lindborg & Mazor Defend Commercial Tenant's Long-Term Leasehold Interest: Under-market leases can be a significant asset for commercial tenants… and a source of conflict with their landlords. Recently, one of L&M's clients was the target of a campaign by its landlord to terminate a long-term lease which had a face value of just under a million dollars, and a market value of at least 150% of that amount. After an aggressive effort to make life difficult for the tenant, the landlord finally attempted to terminate the lease by filing a lawsuit on the basis that the tenant had failed to perform its repair and maintenance obligations. If the landlord had succeeded, the tenant's restaurant business would have been destroyed. Using a skillful combination of legal and factual defenses, the lawyers of L&M convinced the court to enter judgment in favor of the tenant and against the landlord, including awarding the tenant its legal fees. L&M Protects Client's Mechanic's Lien: A general contractor represented by L&M recorded a mechanic's lien to secure its right to payment for over $500,000 of tenant improvement work it constructed. The tenant filed a special proceeding under California's Civil Code trying to invalidate the lien on the basis that the action to foreclose the lien had not been timely filed. Not only was L&M able to convince the court that the tenant's claim was baseless, but the court awarded L&M's client a judgment for its attorneys' fees. L&M represented the bond purchaser (lender) in the financing of a $350 million acquisition of a significant minority equity stake in what upon completion of construction will be the second-tallest building in the U.S.
Lindborg & Mazor Protect Client's Trade Secrets: Among a business' most valuable assets are its trade secrets which include its customer lists. When two employees of a client of L&M left to open a competing business in violation of their employment agreements, the lawyers of L&M skillfully negotiated a settlement in which the court entered an injunction which barred the employees from doing business with the client's customers for an extended period of time. When the former employees later violated the injunction, they claimed that the court's order contravened both the California Constitution and statutory law. In a published appellate decision, the Court of Appeal ruled that an injunction which restricts certain types of competition does not violate California law because it protected the valuable trade secrets of L&M's client (see, Wanke v. Keck (2012) 209 Cal. App. 4th 1151) Later, the court entered a judgment in excess of $1,000,000 against the employees for violating the injunction. L&M proudly represented SANDAG in its purchase of SR-125. After months of negotiations with South Bay Expressway, TIFIA and Caltrans, performance of legal due diligence and documentation of the acquisition, Peter Lindborg and Irina Mazor appeared before the SANDAG BOARD and, after the Board voted unanimously to approve the purchase, ensured the successful closing of the transaction. The Board agreed to pay $341.5 million for the asset – roughly one-third of what a private consortium spent to build the toll road. After a thorough due diligence process and public discussion, the SANDAG Board of Directors gave final approval to buy the lease to operate the State Route 125 toll road from South Bay Expressway. "Buying the SR 125 franchise is one of the smartest moves we can make on behalf of taxpayers in this region," Encinitas Mayor and SANDAG Board Chair Jerome Stocks said. 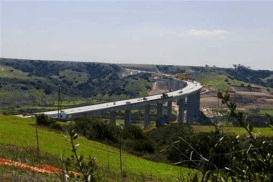 "As a result of the acquisition and our future action to swap projects in the South Bay, we will save the region $268 million and eliminate the need to condemn numerous homes and properties to condemn numerous homes and properties to expand Interstate 805. Just as importantly, we will bring congestion relief to the South Bay decades sooner than expected. Furthermore, the traveling public will benefit from lower tolls." The Board agreed to pay $341.5 million for the asset – roughly one-third of what a private consortium spent to build the toll road. The facility stretches for about 10 miles through eastern Chula Vista from State Route 905 near the Otay Mesa Port of Entry to State Route 54 near the Sweetwater Reservoir. Users of the toll road will notice no immediate changes to operations or the tolls. SANDAG has contracted with South Bay Expressway to continue operating the facility during a transition phase. SANDAG will oversee the operations. The SANDAG finance plan calls for reducing the tolls on SR 125 as much as possible while still generating enough revenue to pay for operations and maintenance, debt service, future improvements, and contingencies. When disputes arise among shareholders in a closely-held corporation, things can get ugly in a hurry. A 50% shareholder in two significantly-sized southern California corporations turned to Lindborg & Mazor LLP after he had been completely frozen out of the management and control of those two entities. Using a combination of aggressive litigation and skillful negotiation, the lawyers of L&M were able to achieve a resolution of the dispute which netted our client all of the assets of one of the corporations and half of the assets of the other entity. Studies have shown that all border crossings between California and Mexico are congested and simply inadequate to meet 21st century demand. San Ysidro/ Tijuana, the existing international passenger land crossing along the United States-Mexico border is heavily congested and often clogged. The nearby Otay Mesa Port of Entry (POE) is accommodating the third highest dollar value of trade among all southern border POEs. More than 1.4 million trucks carrying an estimated $28.6 billion in goods crossed at the Otay Mesa POE in 2006 and that number is expected to double by 2025. Peak wait times for commercial trucks and passenger vehicles can last two to four hours costing the U.S. and Mexican economies an estimated $7.2 billion in gross output and more than 62,000 jobs. In 2007, the San Diego Association of Governments (SANDAG) retained Lindborg & Mazor LLP (L&M) to perform a legal feasibility study concerning whether SANDAG, as a local governmental entity, could construct a new POE and related toll road, called SR 11, located east of to the existing Otay Mesa POE. L&M's work assisted in the State Department's issuance of a U.S. Presidential Permit for the proposed project and SANDAG resolved to proceed with this unique endeavor in order to meet the growing transportation needs of the 21st century. In the summer of 2010, SANDAG issued an RFP for all legal services related to this ambitious project. L&M collaborated with its Legalink colleagues, Buchanan Ingersoll & Rooney and Capín, Calderón, Ramírez y Gutiérrez-Azpe to respond to the RFP. L&M is proud to have been awarded the project in November 2010, and in September 2016 SANDAG extended the contract for an additional five years. A foreign-based subcontractor retained Lindborg & Mazor LLP to represent it with respect to a claim against a U.S.-based prime contractor concerning a construction project in the Middle East. Although the project had been completed for several months, the U.S.-based contractor had ignored multiple requests for payment and had even refused to meet to discuss the claim. In analyzing the claim, L&M discovered that our client had undervalued certain elements of the claim and altogether omitted several others. After adjusting the claim for these elements, L&M filed an arbitration demand which resulted in an immediate response by the U.S.-based prime contractor, who requested that the parties commence negotiations concerning the claim. After several negotiating sessions, but without expending any significant expense in connection with the arbitration, Lindborg & Mazor LLP was able to secure a settlement payment for our client equal to 125% of the original amount of the claim. 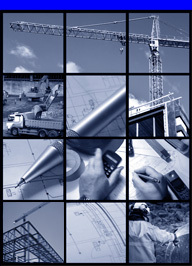 A general contractor on a series of public works projects in southern California retained Lindborg & Mazor to represent it in a running dispute with a recalcitrant subcontractor. The subcontractor had served stop notices on each of the projects in an attempt to obtain leverage over the general contractor. The stop notices had the effect of freezing over $250,000 in payments otherwise due the general contractor. Employing a seldom-used provision of the California Civil Code, Lindborg & Mazor commenced a summary proceeding in the California Superior Court challenging the validity of the stop notices. The court held an accelerated hearing on the claim and, at the conclusion of the hearing, issued an order invalidating each of the stop notices on a variety of grounds. A private developer contacted Lindborg & Mazor after a subcontractor obtained a mechanic's lien foreclosure judgment against the developer at trial. Lindborg & Mazor reviewed the record and the trial judge's decision and identified several legal issues upon which to file an appeal. Based upon the issues identified and developed by Lindborg & Mazor, the California Court of Appeal reduced the damage award against the developer by two-thirds. The agency in charge of all major transportation projects in San Diego County recently chose the lawyers of Lindborg & Mazor LLP to represent its interests in a mediation involving a claim of over $13,000,000 brought by a contractor concerning the automated toll collection system used on all buses and trains in the county. Called in late in the claims process, the lawyers of Lindborg & Mazor literally worked around the clock to produce the agency's mediation presentation. In analyzing the claim, the lawyers of Lindborg & Mazor identified several significant issues affecting the validity of the claim. As a result, the claim was settled for approximately 13 cents on the dollar following a week-long mediation. From beginning to end, the lawyers of Lindborg & Mazor were able to achieve such a result in less than 30 days. Representing the interests of a national contractor defending a $125 million fraudulent conveyance claim brought against it by a project lender in Nevada, the lawyers of Lindborg & Mazor recently won a complete dismissal of the claim against their client. Filing numerous motions concerning claims brought in a multiplicity of jurisdictions, the lawyers of Lindborg & Mazor succeeded in convincing the District Court in Nevada that the lender was bound by a previous judgment involving the project owner. The lawyers of Lindborg & Mazor were recently selected to represent the interests of a contractor in a claim brought against it by a project owner. The owner had proven so difficult to work with that the contractor was willing to walk away from its contract balance and pay the owner an additional sum of money to settle the dispute. Fortunately for the contractor, the project owner rejected the settlement offer and the matter proceeded to arbitration. After a full hearing on the merits, the lawyers of Lindborg & Mazor won an award for the contractor consisting of its contract balance, extra work claims, attorneys' fees and costs. Lindborg & Mazor LLP announces that Peter F. Lindborg has been named Chairman of Legalink's Construction Special Interest Group. Legalink is an international consortium of over 2500 lawyers in more than 45 countries worldwide. Lindborg & Mazor LLP is Legalink's sole representative in Los Angeles. Lindborg & Mazor LLP proudly announces that Irina J. Mazor has appeared on The Insider Exclusive : "L.A.'s Most Influential Women" series.